This past week I had the pleasure of experiencing a lot of live music. On Monday, I saw George Garzone at the Lilypad. 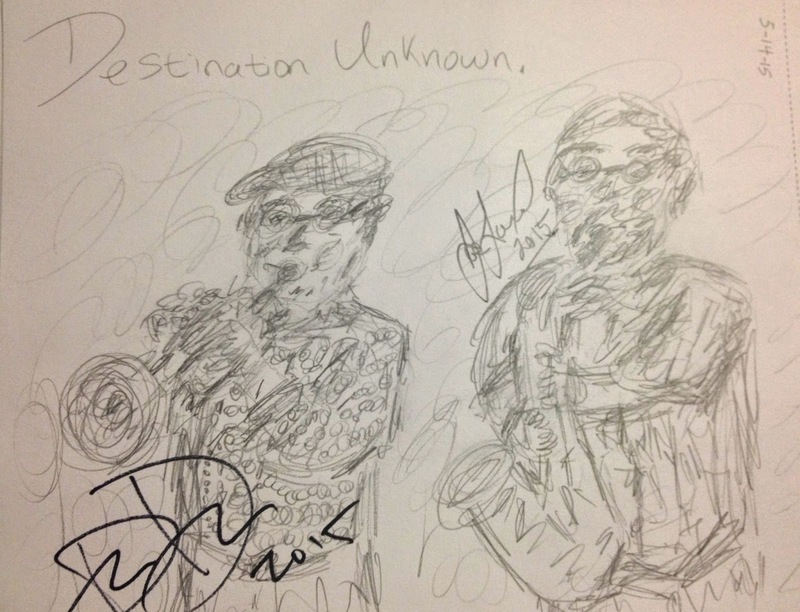 On Thursday, I saw Dave Douglas and Joe Lovano's group 'Soundprints' at Scullers. On Friday, I saw Kurt Elling with special guest Anat Cohen at Sanders Theater. 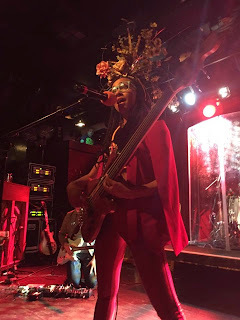 On Saturday, I saw Esperanza Spalding at the Paradise Rock Club. From all of these experiences, I wanted to share some music of each of the artists as well as what I learned from watching them. Every Monday night the Jerry Bergonzi Quintet and The Fringe perform. This past Monday night, Bergonzi was away, so George Garzone from The Fringe performed with the rest of Bergonzi's Quintet. I always love seeing both groups, and it was a pleasure to watch this new group perform some standards that I have been learning, such as 'Equinox'. I think what I learned from this group was to take chances with standard songs and to always play with fire. I remember going to see Soundprints four years ago at Scullers. This time the group came back and paid tribute to Wayne Shorter through various arrangements of Shorter's songs as well as original compositions. Their latest album is Sound Prints - "Live At Monterey Jazz Festival". 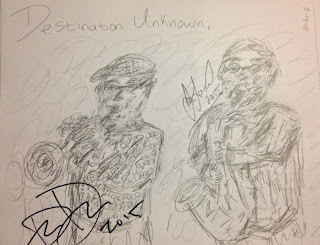 Joe Lovano and Dave Douglas are a perfect pairing in this group. Joe's light tone and driving rhythmic force combines flawlessly with Dave's powerful tone and phrasing. The group captured Wayne Shorter's spirit through their creative freedom and collaborative energy. What I loved most about the concert, was how when Joe Lovano wasn't playing, he seemed to be philosophizing and deeply listening to everything happening. I think this is what I really learned from the concert: to listen with intent to other band members. I have seen both Kurt Elling and Anat Cohen perform at the Newport Jazz Festival. Kurt Elling's concert at Sanders was part of his tour for his new album, 'Passion World', which takes influence from numerous countries around the world. Kurt Elling sang with his group for a few songs, then Anat joined midway through. Kurt paid tribute to Frank Sinatra by reinterpreting such songs as, "Come Fly With Me". Kurt's rich vocal tone is amazing at reinterpreting standard songs by changing the melody, displacing rhythms, and phrasing the lyrics in a new way. When Anat soloed, she had such interesting and powerful ideas that worked within the context of the group, that when she was done, the audience erupted in some of the loudest cheering I have ever heard for a solo. Her tone and vocal phrasing make the clarinet come alive. I think what I learned from this concert was to always relate my solo ideas to the group. Anat and Kurt both soloed amazingly, but what made them work was the group commitment. Both are virtuosic, but they never hesitated to repeat a line if the group was playing off of it. Esperanza's concert at Paradise was part of her tour for her new album, 'Emily’s D+Evolution'. To learn more about this CD, read this Philadelphia Tribune article. Esperanza combined theater, poetry, political and social statements, movement, funk and rock, and more into a whirlwind concert. 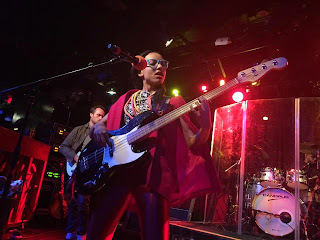 I had seen Esperanza play at the Newport Jazz Festival with her 'Radio Music' group a couple years ago. It is amazing to see Esperanza's diversity as a musician and performer. There are no boundaries. I think what I gained from this concert was Esperanza's confidence to commit to what she is doing wholeheartedly. She commands the audience, and she lets the music speak for itself. Seeing live music is one of my favorite things. This summer I cannot wait to attend various jazz festivals including the Montreal Jazz Festival and the Newport Jazz Festival. This year, the Newport Jazz Festival has $20 student tickets, making it affordable for students to attend this historic festival. I encourage everyone to make the trip down to both of these festivals - you won't regret it! Please visit my jazz poetry blog, "Without a Poem", where I improvise a new poem everyday. I also include art and music, so stay tuned!